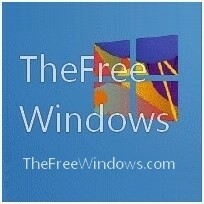 Revo Uninstaller is a free application that will help you uninstall unwanted programs. It is faster and more powerful than the native Windows applet, in my opinion a necessary tool. Revo Uninstaller analyzes the data of a program before you uninstall it, and scans after you uninstall it in order to find elements left behind in the registry or in the program’s folder, etc. After the program’s regular uninstaller runs, you can remove additional unnecessary files, folders and registry keys that are usually left over on your computer. Even if you have a broken installation, Revo Uninstaller scans the hard disks and the Windows registry and shows all found files, folders and registry keys, letting you delete them. Erase files and folders forever – make sure nobody can recover your files and folders; Uninstall unwanted programs just by aiming on their window or icon; “Drag and Drop” mode to uninstall, kill and delete programs.